There are a lot of things that keep small business owners up at night, and one of those fears is growth. Growing a business beyond the capabilities of one individual can seem impossible and more 70% of small businesses consist of only one person: the business owner. Growth requires new skills, more work, and potentially other employees or partners. At QuickBooks, we recognize how exciting and stressful business growth can be. We spoke to some small business owners to ask for their advice about ways to grow your business. The community had a ton of really helpful tips around managing your time and money, as well as tips for collaborating and finding a work-life balance. 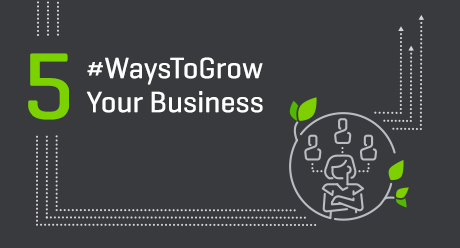 Are you just starting to focus on growing your business? If you’re considering bringing on new clients and potentially new employees, make sure you’re recording your business processes now to make it easier to repeat them, or train someone else to do it when you’re able to. Tammy Durden from Tammy’s Office Solutions recognizes how easy it is to overlook processes necessary to running your business when you’re the only one doing them. Tammy mentions, “As the business grows it will become much more difficult to find the time to go back to recreate it all,” so begin recording your processes today. Marketing your business well is key to gaining new projects and clients. A professional website and maintaining social media profiles that make sense for your community are two highly recommended options. Liz Froment from Location Rebel claims that a professional website is “the lifeblood of your business.” Patrick McGinnis also understands the importance of a logo and states, “in many lines of business, image is everything.” Patrick recommends easy-to-use sites like 99design to help your business and website look professional.